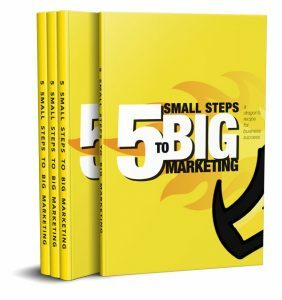 5 Small Steps is a comprehensive beginner’s guide to online marketing. You will learn the basics of branding, content creation, local SEO, advertising, and the importance of being mobile-friendly. After you read it, let us know if you have any questions about implementing the ideas. Better yet, schedule a free consultation for a more in-depth marketing discussion which will ensure accuracy when implementing these concepts.